After having some good food at Penang Batu Lanchang Market, Jamie and I decided to drive to Seng Thor Coffee Shop in Carnavon Street for its famous fried oyster. 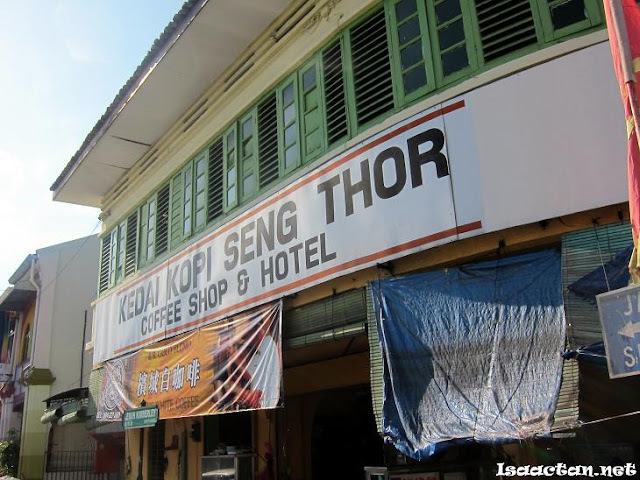 Seng Thor Coffee Shop has been around for ages and serves one of the best fried oyster I've tried on top of a couple of other usual Penang fares. We were there primarily for its fried oyster. Located at the junction of Carnarvon Street and Kimberly Street. Nearby the Campbell Street Wet Market. If you have tried any fried oyster dishes before, you will know it's extremely oily and hazardous to health if taken excessively. I couldn't remember the last time I had fried oysters so this round should be good to go. Check out below on how the fried oyster is being prepared over the huge "wok". 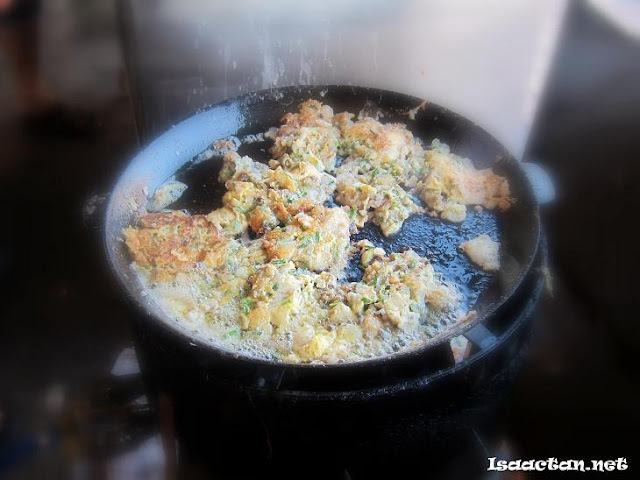 Fried oyster being prepared. There should be 3 to 4 dishes worth in there. While we were there, I found the majority of the patrons in the coffee shop was waiting for this same dish. After a 10 minutes wait, a plate of really oily, really fragrant, and really tasty fried oyster dish was served at our table. This was actually Jamie's first time over here, so she was pretty excited I guess. The dish came in a few sized servings (RM8, 10, and 12). We took the RM8, the smallest serving as there were only 2 of us. Have a look below on this tasty dish. The oysters in the dish came in two different sizes, one which was big and juicy, while the other slightly smaller and drier. 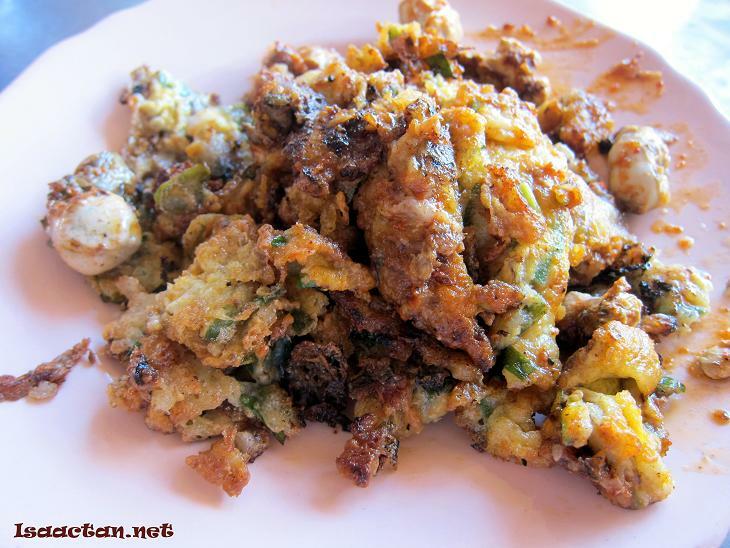 I love the way the fried egg was prepared, with the spice, vege and all, fried to a crisp on the sides while still maintaining the overall softness. Overall a very tasty treat indeed, but one which should not be indulged in often for health's sake. So if you happen to be around Penang town area, do drop by this coffee shop in Carnavon Street for some really good fried oyster. The fried oyster stall opens from 2pm onwards daily and closes by 6pm. We came here once during Henry Lee's Penang Trip, unfortunately it was late evening and the stall had closed so be sure to come here early to avoid disappointment. Next time i also wanna come here and ordered that..
SK, I love it more than i love fried koay teow bro. Haha :) but eat too much, can grow very fat very fast. lol!! Ah!!! This was the place that Eugene took me and my daughter to. Soooooo nice that my daughter wanted seconds. So Eugene ordered again... Best or chien in Penang. STP, yes, it is the same! for me its the best oh chien! hehe. Hilda, I actually like the egg more than the oyster. It was so tasty! Eugene, ooo. Must tell me next time we meet. Haha. Ken, I don't like fresh oyster too. In fact fried oyster I am just ok with it. I prefer the egg n the taste. Sometimes I wonder if can order one fried oyster dish without the oyster. Lol! 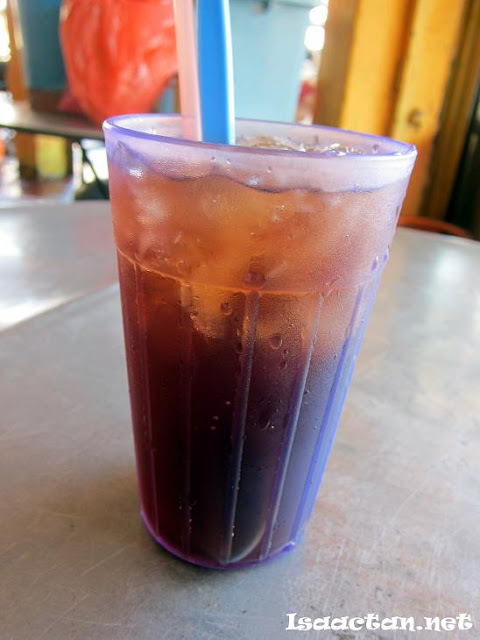 RM8, same price here but the Penang version definitely looks tastier!